Research outlines key advantages for methanol use in medium-speed marine engines for passenger shipping. 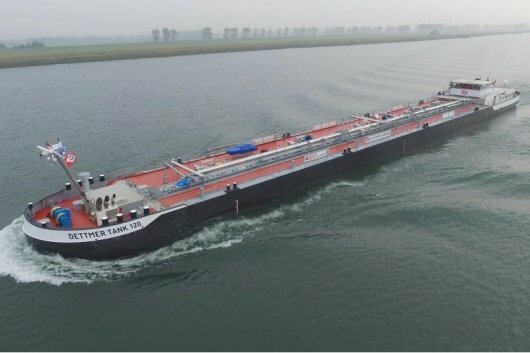 The Methanol Institute has welcomed the findings of the MethaShip research project, which has concluded that renewable methanol offers a long-term solution for the shipping industry's ambitious carbon emission reduction strategy. The MethaShip partners found that methanol can offer a dramatic improvement in emissions reduction across multiple ship types once the International Maritime Organization (IMO) has established the statutory framework conditions necessary for an industry-wide reduction of CO2 emissions. "The whole shipping sector is facing major challenges with ever stricter emission regulations for ships, paired with a growing environmental awareness among ship owners and passengers alike," said MethaShip Project Leader Daniel Sahnen of Meyer Werft. "Some technical and financial details still need to be clarified but in the medium term a breakthrough could be possible with methanol as a fuel for a holistic reduction of CO2 emissions." The research project brought together partners from shipbuilding, classification, engine manufacturing and methanol production to investigate the potential of methanol as a fuel for cruise ships and ro-ro passenger ferries. It included development of a potential cruise ship design featuring seven integrated storage tanks made of coated conventional mild steel. "Methanol is a clear, water-soluble, biodegradable fluid and in contrast to other alternative fuels such as LNG, it offers the crucial advantage of being very easy to handle," noted Methanol Institute Chief Representative Europe, Eelco Dekker. "In addition to its potential for long-term emissions reduction, the easier storage and transport properties are a strong driver behind the growing interest in using methanol as a fuel for shipping." - An already widespread infrastructure and availability could be a key enabler for methanol. The MethaShip research project consortium consists of: Flensburger Schiffbau-Gesellschaft, Lloyd's Register, Meyer Werft, and associate partners Caterpillar, Helm AG and MAN Diesel & Turbo. It was funded by the German Federal Ministry for Economic Affairs and Energy.